Galiatovsky, Ioanikii [Galjatovs’kyj, Ioanikij], b ?, d 12 January 1688 in Chernihiv. Writer and Orthodox church leader. 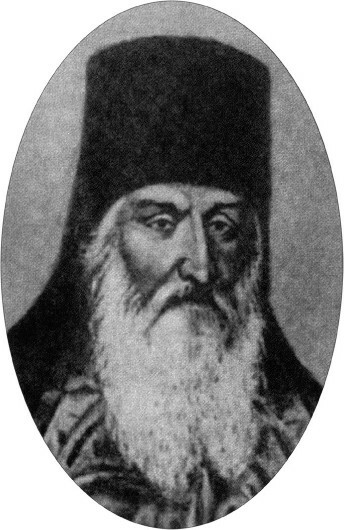 Galiatovsky was educated at the Kyivan Mohyla College, then lectured there (1650–69) and served as its rector (from 1657) and hegumen of the Kyiv Epiphany Brotherhood Monastery. From 1669 he was archimandrite of the Yeletskyi Dormition Monastery in Chernihiv. 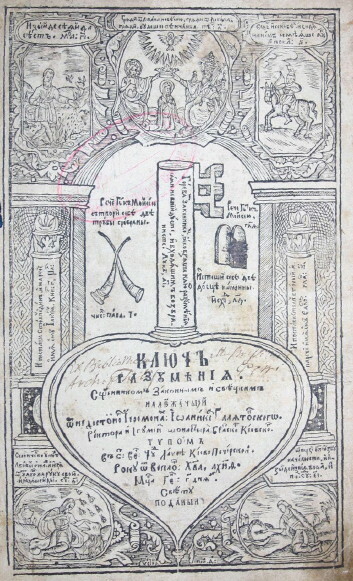 He was a renowned orator and the author of a collection of sermons, Kliuch razumieniia (The Key of Understanding, 1659, 1663), which included ‘Nauka, albo sposob zlozhenia kazania’ (Teaching, or the Manner of Composing a Sermon, 1659) explaining the theory of baroque sermons. He also wrote baroque poetry, a collection of stories about the miracles wrought by the Virgin Mary, Nebo novoie (The New Heaven, 1665), and several polemical treatises (see Polemical literature) in Polish attacking the Church Union of Berestia, Judaism, and Islam, including Łabędź z piórami swemi (The Swan with Its Feathers, 1679), Alphabetum rozmaitym Heretykom ... (A Primer for Various Heretics, 1681), and Alkoran Machometow (The Muslims' Koran, 1683).